Audi Sport customer racing experienced a setback in the launch of its title defense in the Intercontinental GT Challenge. 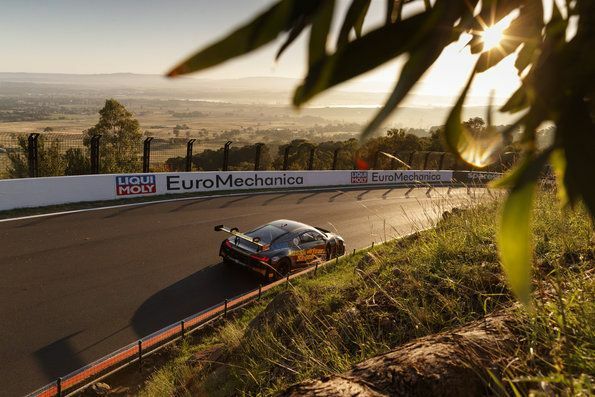 After both Audi R8 LMS of the Audi Sport Team Valvoline had at times led the 12-hour race in Bathurst in the early phase, the squad with drivers Christopher Haase/Christopher Mies/Markus Winkelhock ultimately had to settle for 14th place. The Australian customer teams Matt Stone Racing and Hallmarc, however, were delighted to climb the podium in their class. 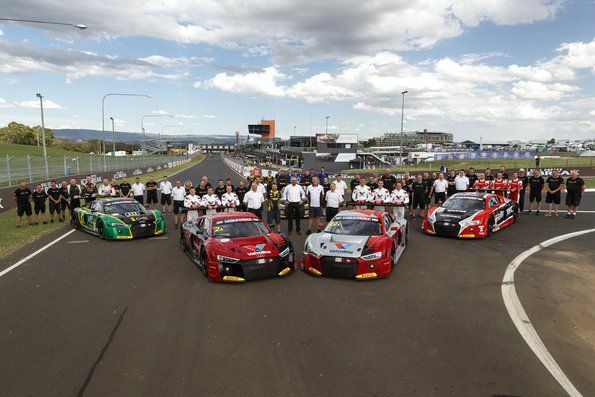 “We’ve won the manufacturer’s classification of the Intercontinental GT Challenge three times, and last year we also took home our third victory at the Bathurst 12 Hour,” says Chris Reinke, Head of Audi Sport customer racing. “This time, however, we unfortunately didn’t achieve our goals in Australia.” A top-class battle emerged from the almost 30-strong GT3 field of racers from ten manufacturers. Depending on the pit stop sequence, Audi Sport had two irons in the fire in the first hours of racing. Start driver Christopher Haase drove the first stints over almost three hours and was the first Audi Sport driver to take the lead. Later, his Audi Sport driver colleague from South Africa, Kelvin van der Linde, also led the field at times in the sister car. After handing the No. 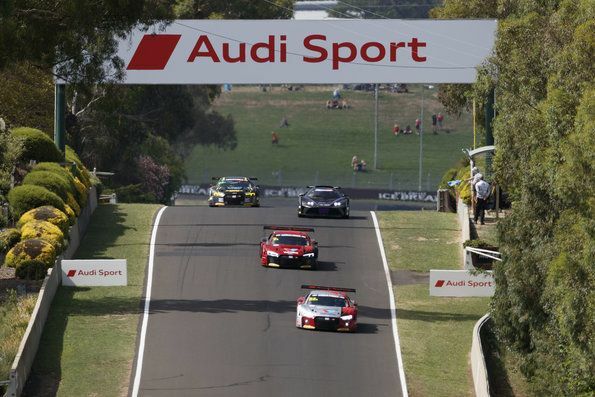 22 Audi R8 LMS over to his teammate Garth Tander, the Australian touched another car in the fifth hour of racing. The subsequent repairs cost the team six laps. The car was ultimately thrown out of contention in an accident of Belgium’s Frédéric Vervisch in lap 182. At this time, the No. 2 vehicle also dropped out of the fight for the lead. Several minutes after the half-time mark, Christopher Haase had to pull into the pits with power steering problems. The team lost eight laps for the repairs. Christopher Haase, Christopher Mies and Markus Winkelhock fought their way up the order to take the flag in 14th place. Thus, the best Audi in the field was campaigned by the private team Matt Stone Racing. The all-Australian driver line-up of Todd Hazelwood/Roger Lago/David Russell scored tenth overall, making them the second best squad in the Pro-Am category: a remarkable feat considering that this was the first time the Australian team had fielded an Audi R8 LMS. 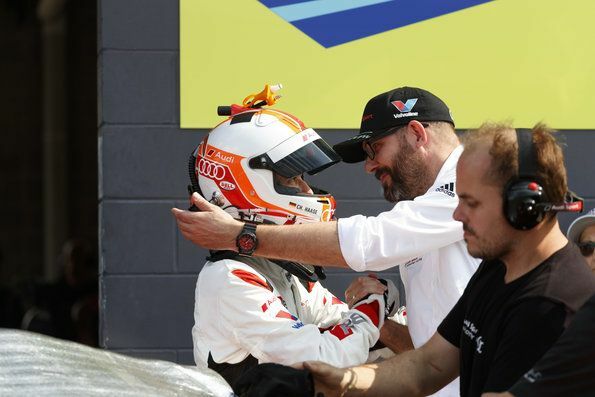 Thanks to the Hallmarc team, another customer squad celebrated a podium result with an Audi R8 LMS. Marc Cini/Dean Fiore/Lee Holdsworth were the third best team in the Pro-Am class. Audi now takes up the chase at the four remaining rounds of the Intercontinental GT Challenge. In eight weeks, round two at Laguna Seca will follow. In the history of the California 8 Hours, the Audi R8 LMS is still the car to beat after two wins since 2017.